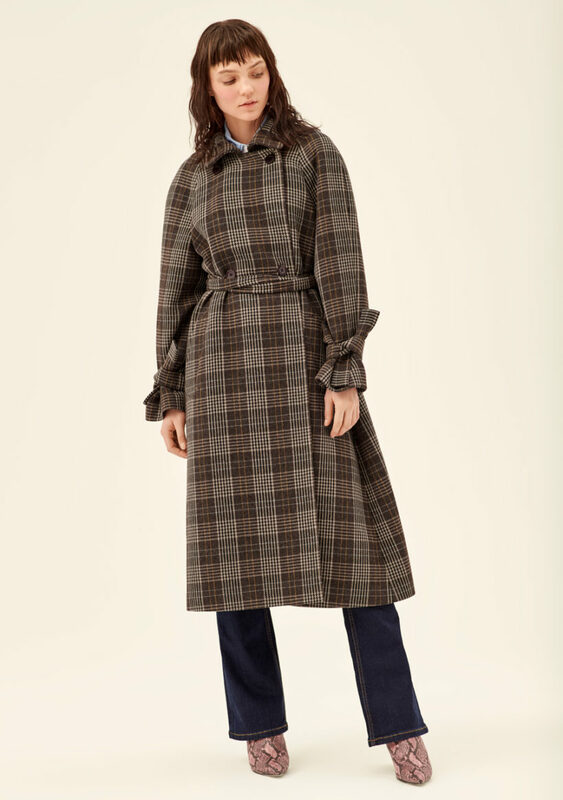 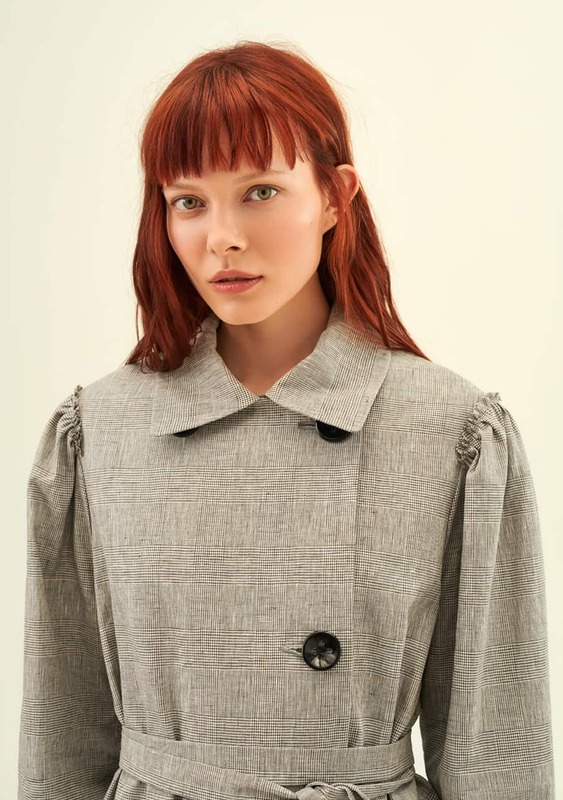 Double-breasted trench coat made from waterproof checked fabric. 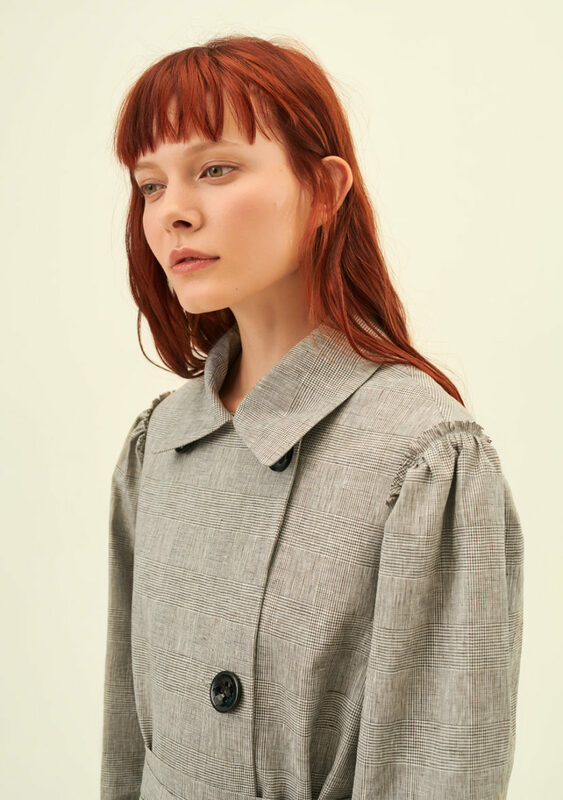 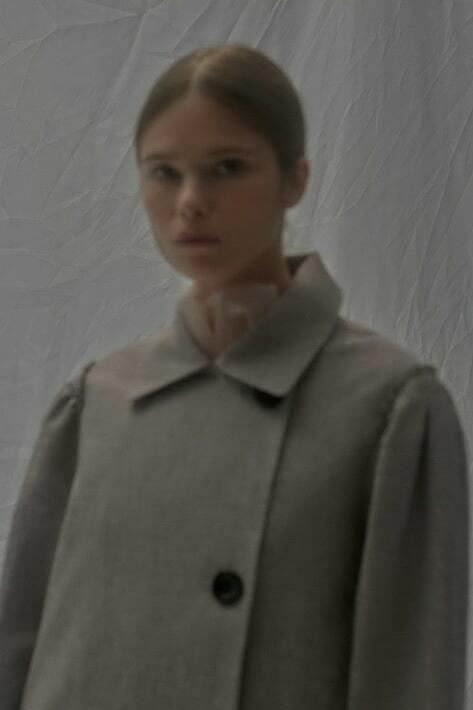 Rounded sleeves with an open edge gathering. 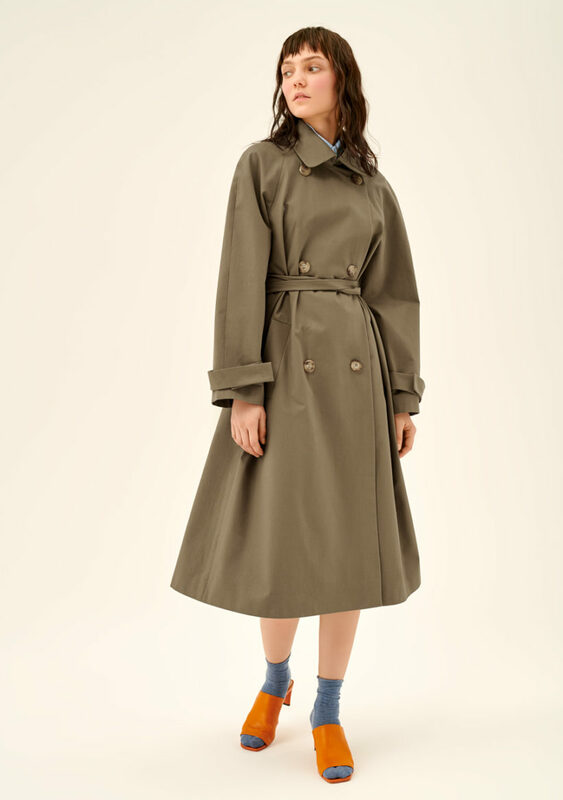 Flaring at the bottom, this trench coat goes perfectly with classic and sports shoes.